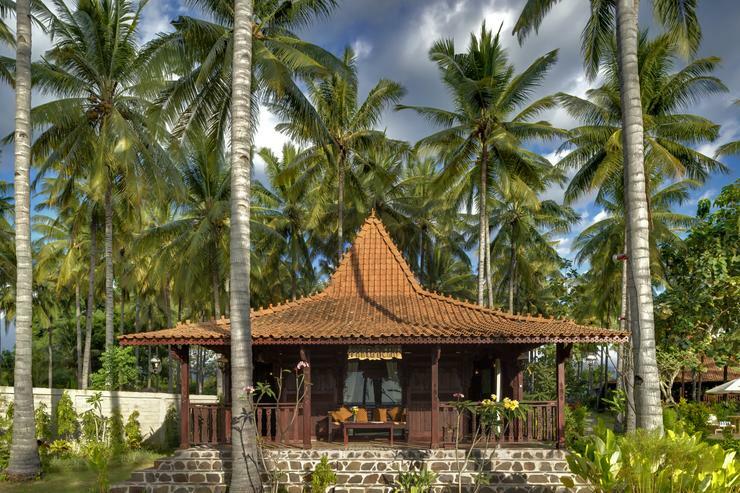 Mutiara beach villa enjoys a blissful secluded location in northwest Lombok. 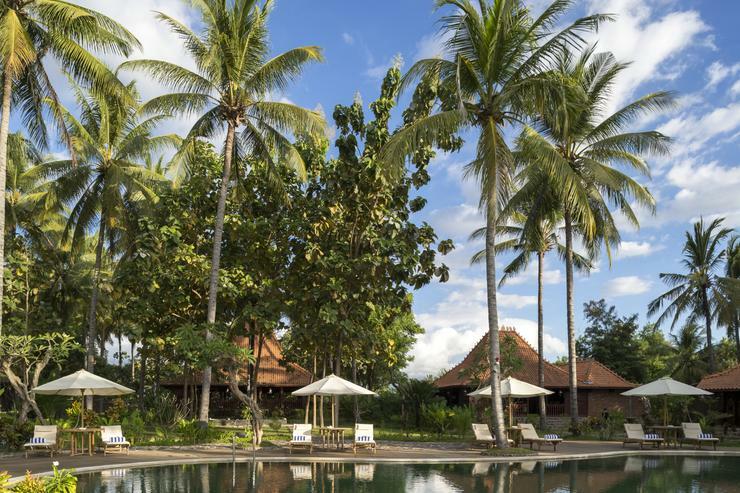 Overlooking brilliant views over the ocean and Bali's Mount Agung, the five bedroom villa is a perfect oasis to experience authentic Indonesian life and landscapes. 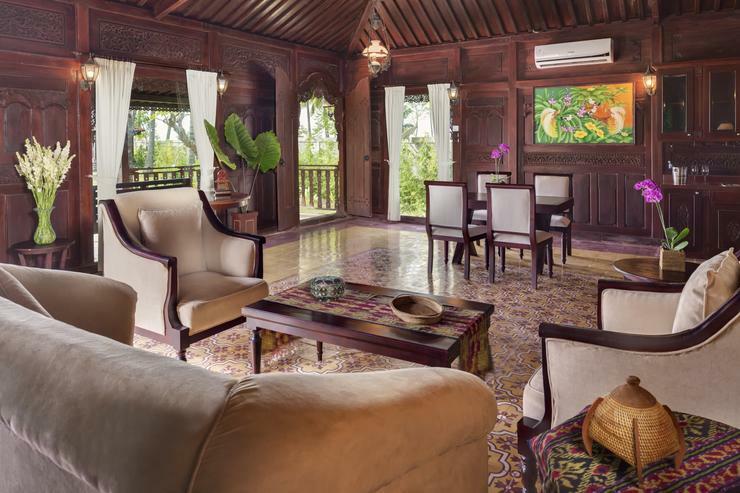 The property is surrounded by tobacco, coffee, cacao plantations and is near the village of Tandjung, a charming market town. 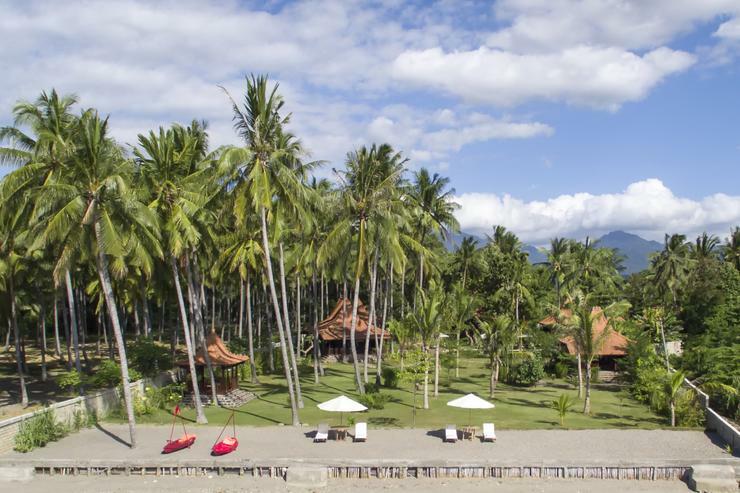 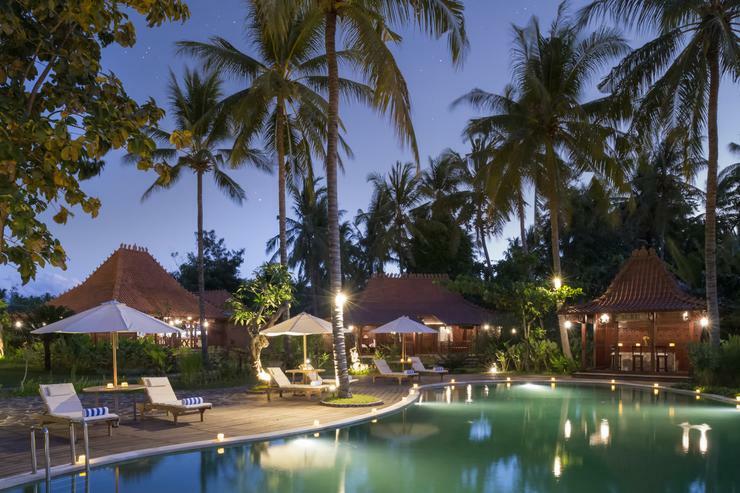 The famous Gili Islands are a short boat drive away while the Lombok Golf Kosaido Country Club is just 11 km away. 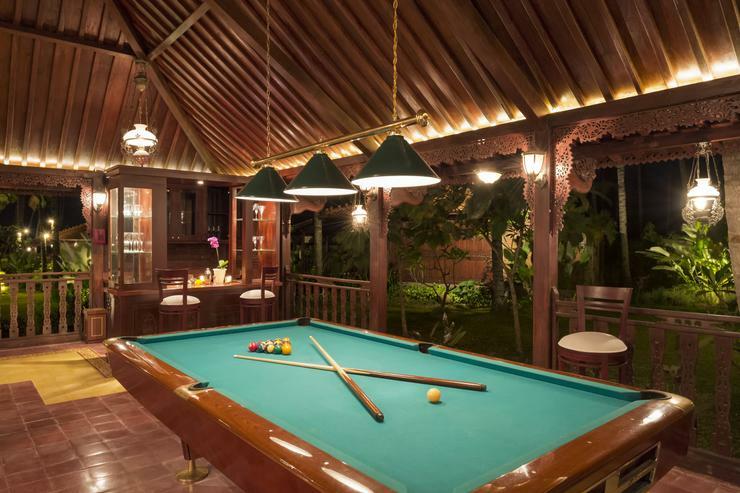 The villa is within convenient driving distance from all major attractions. 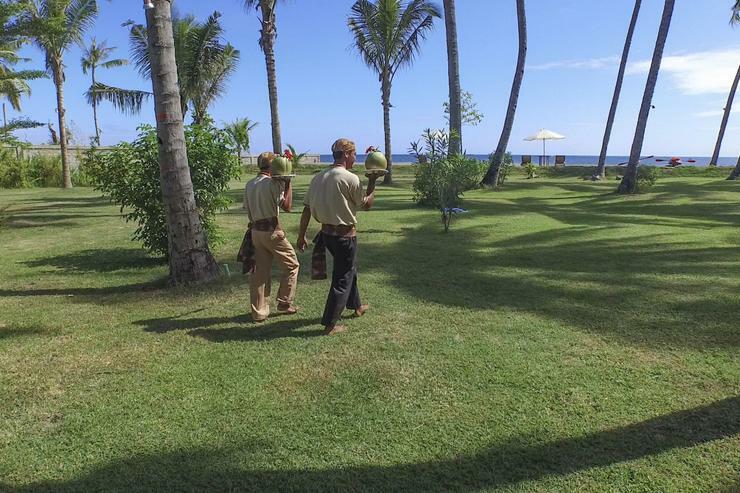 * A fully staffed service. 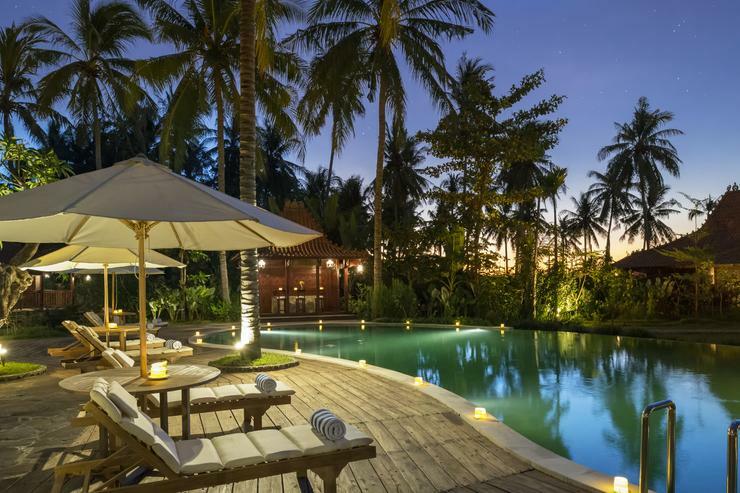 * 1 return trip transfer included applicable to same flight. 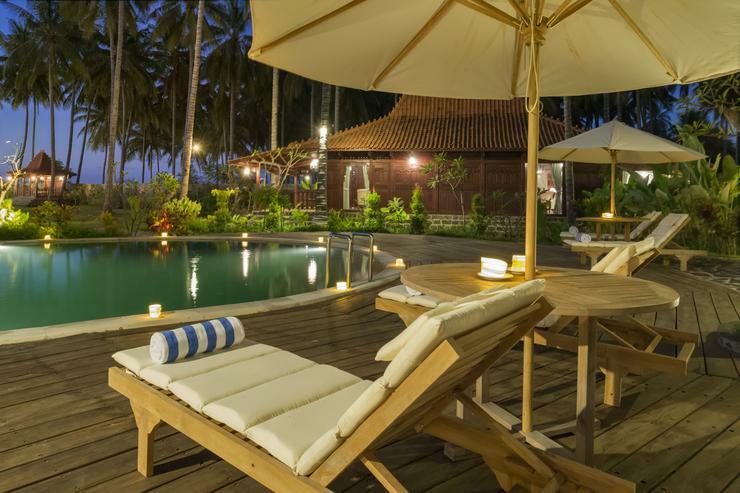 * Stay 6+ nights and receive an option of a complimentary trip to the "Gilli Islands" or a day trip to the "Senaru Waterfall". 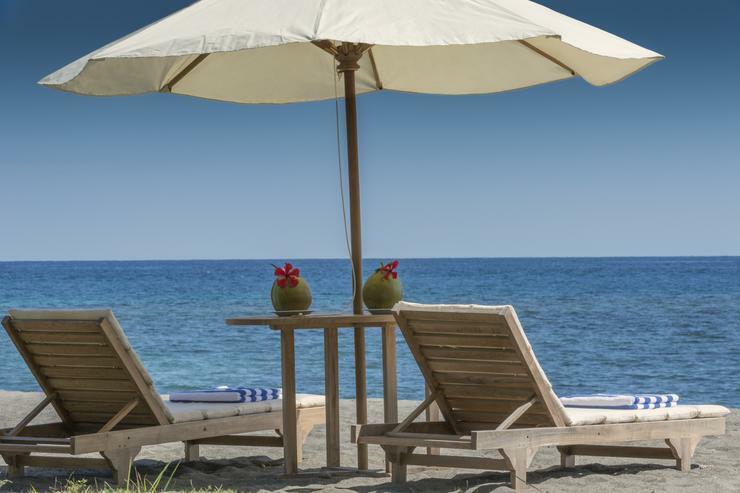 * Chef service working on a grocery bill system + 35% service charge. 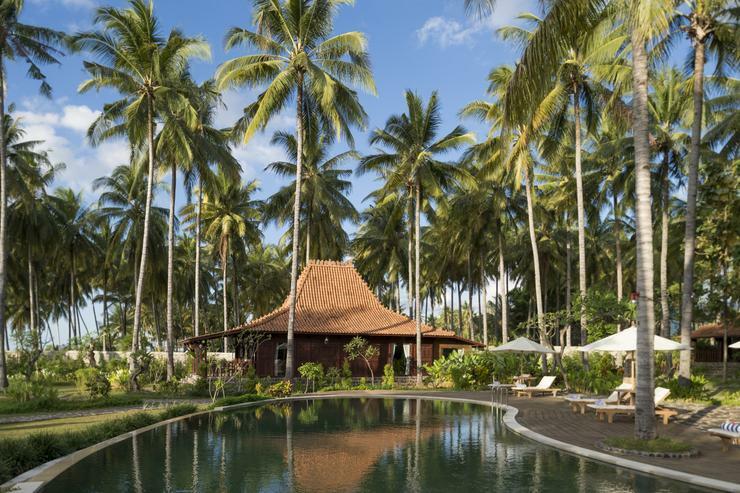 Mutiara beach villa is a stunning beachfront villa that effectively blends traditional Indonesian elements with contemporary Western perfection. 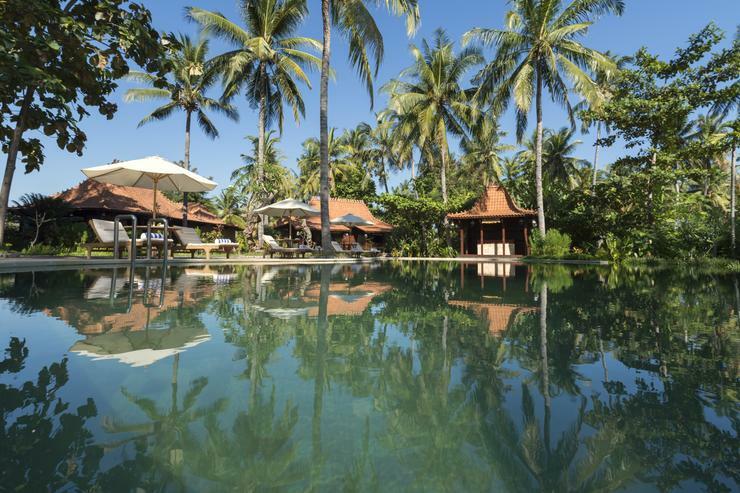 The stunning architecture is complemented by sophisticated facilities and superb service. 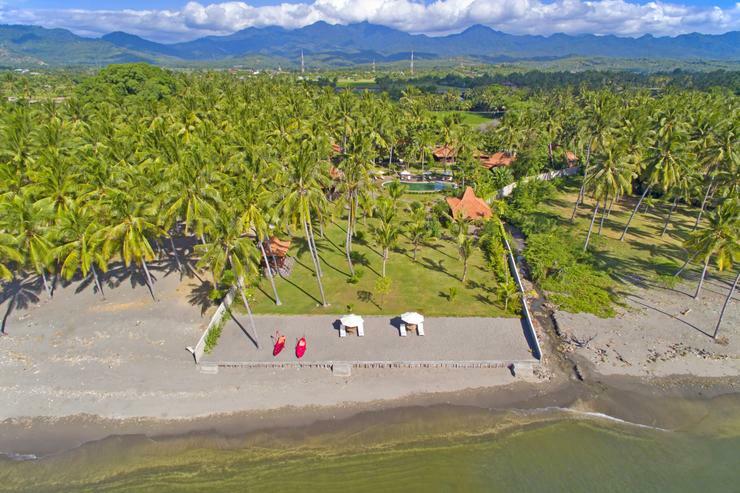 Spread across 9700 m2 of tropical land overlooking the ocean, the villa is perfect for large groups of people and special events like weddings. 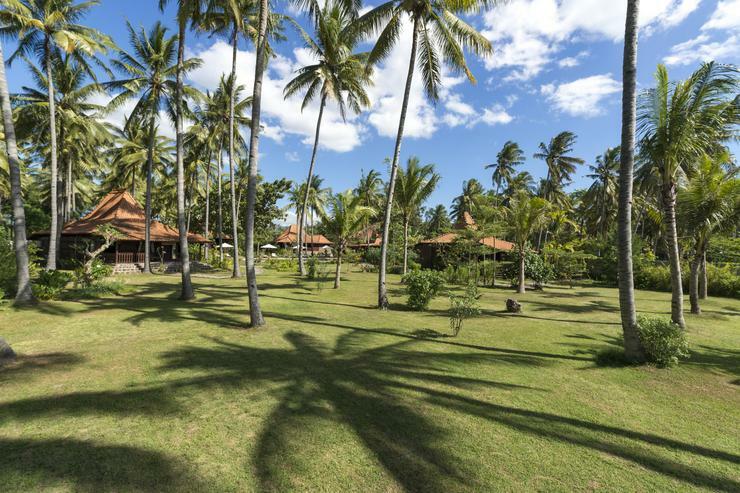 This idyllic holiday retreat is serviced by a full team of caring staff including a manager, villa attendants, and a chef. 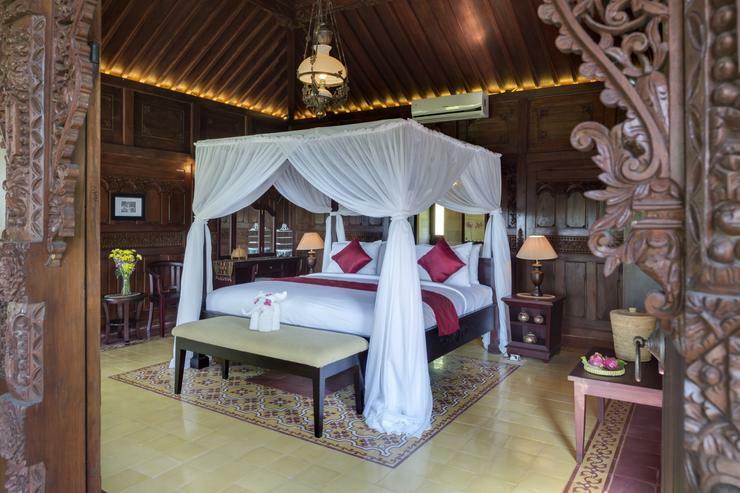 A standalone joglo houses the master suite of Mutiara beach villa. 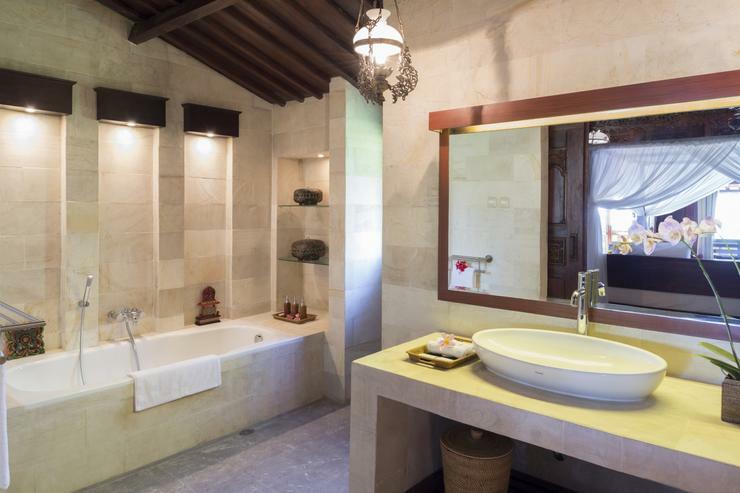 Opening onto a beautiful garden, the suite encompasses a private living area and kitchen. 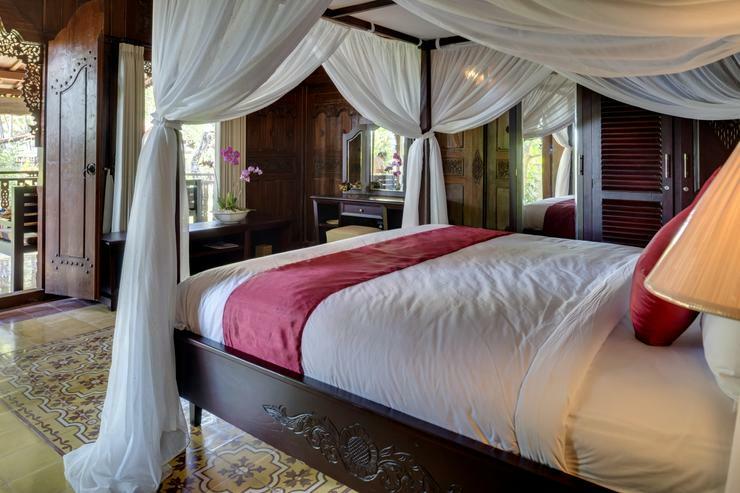 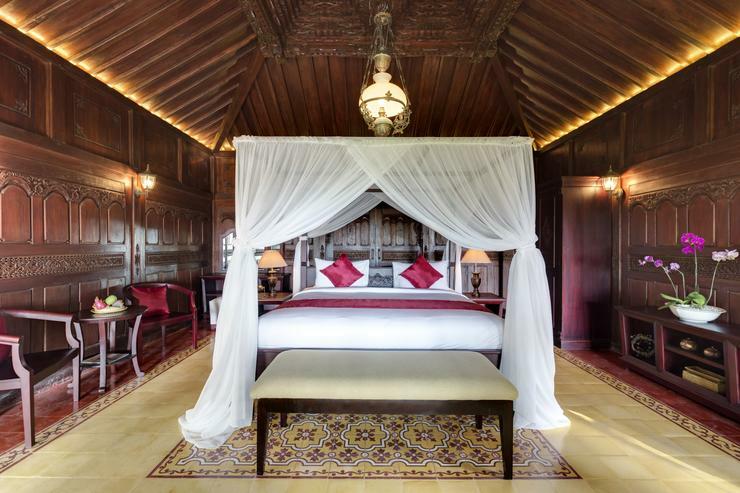 The room itself features a four poster canopied king-size bed and the en-suite luxurious bathroom boasting a large bathtub, a monsoon-shower and a private massage area. 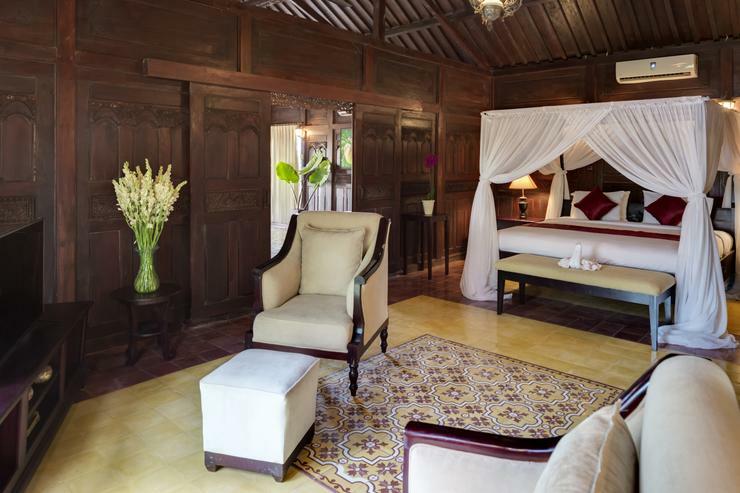 Another private joglo features two guest bedrooms fitted with king-sized beds and en-suites with bathtubs. 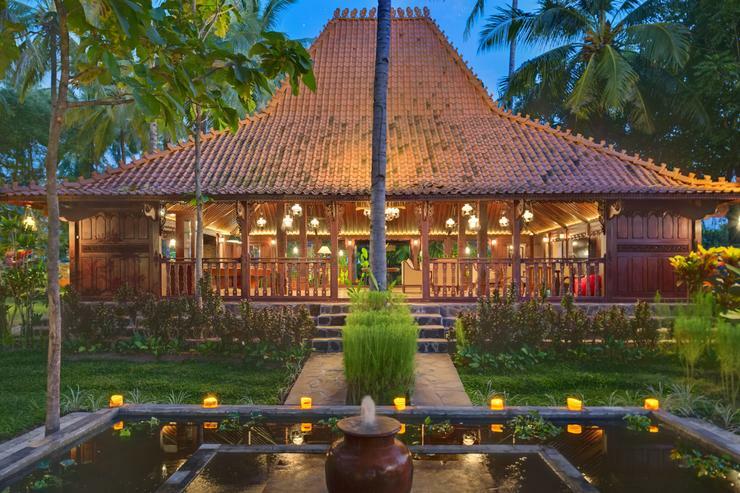 The remaining two bedrooms are set in a separate joglo. 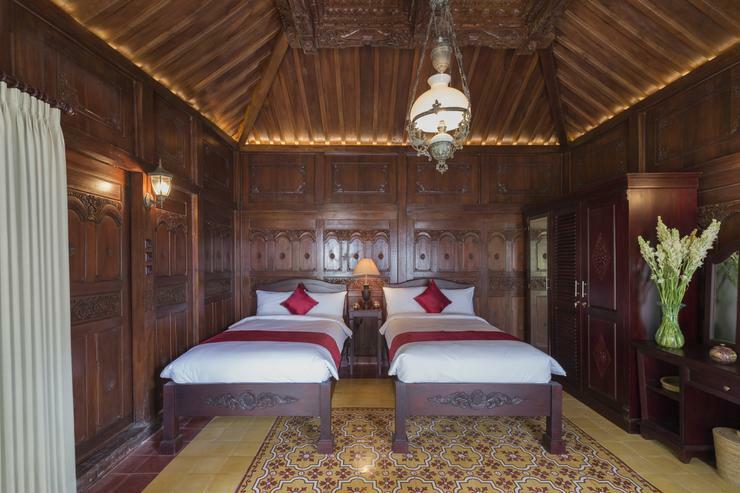 One of these rooms is fitted with a king-size bed while the other has twin beds which can be converted into one large king. 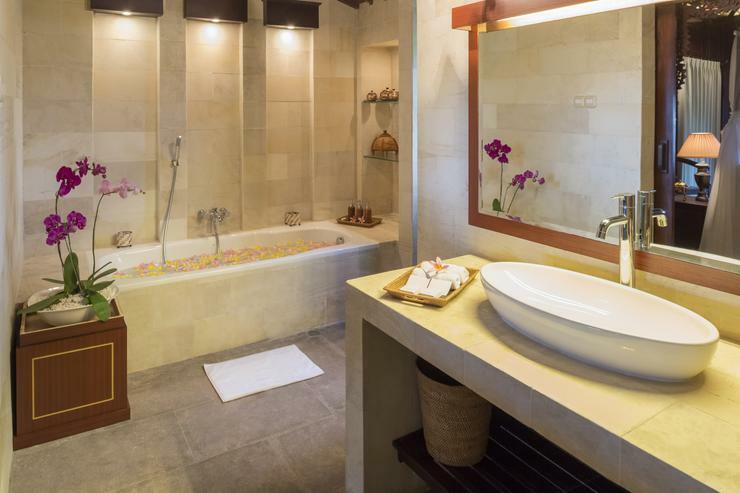 The en-suite bathrooms feature tropical rain-showers. 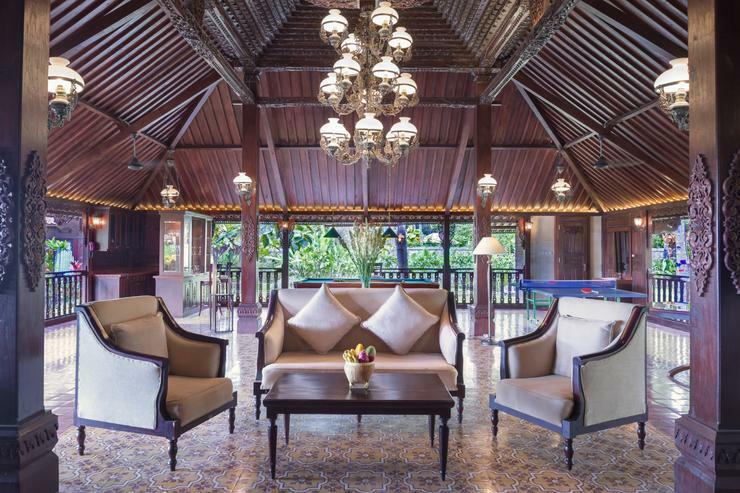 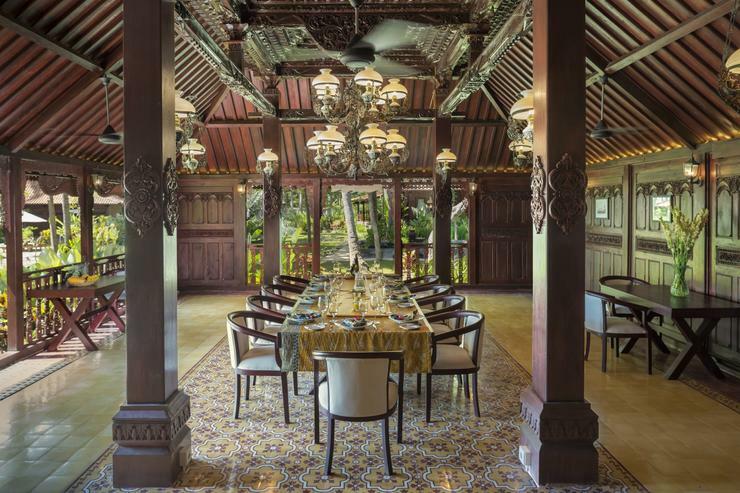 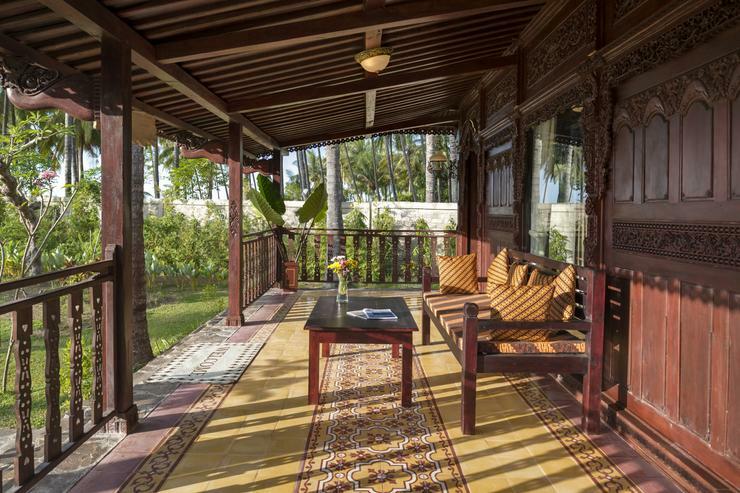 The living pavilion of Mutiara beach villa is set in a spacious joglo with a stunning ornamented ceiling and hand-painted antique Javanese floor tiles. 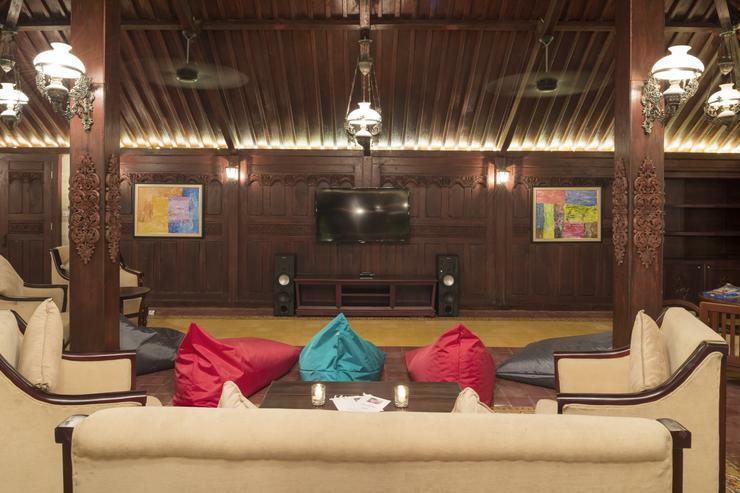 The seating area is fitted with comfy chairs, sofas and bean-bags, 60 inch satellite TV with DVD player and music speakers. 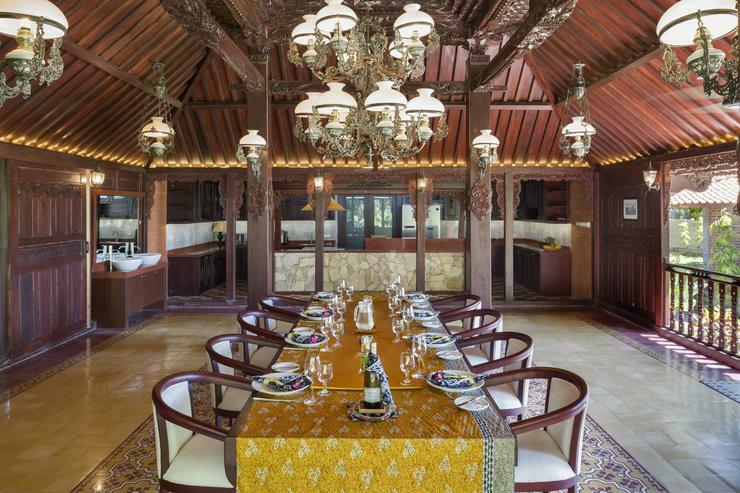 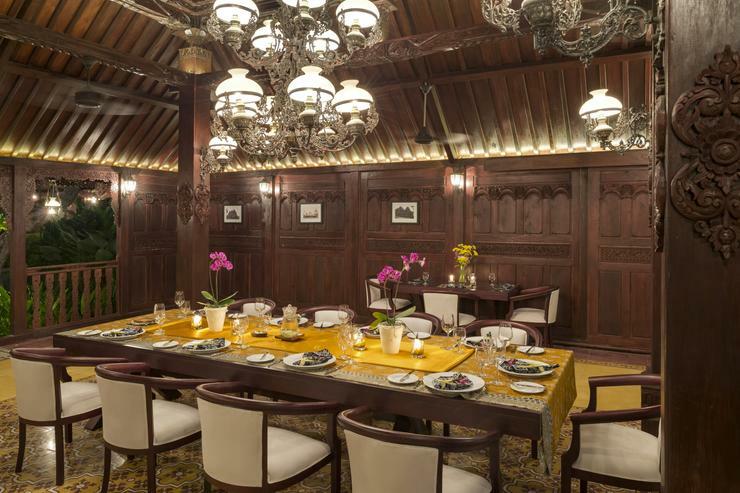 The dining Joglo boasts a large wooden dining table for 12 which can be extended for additional guests. 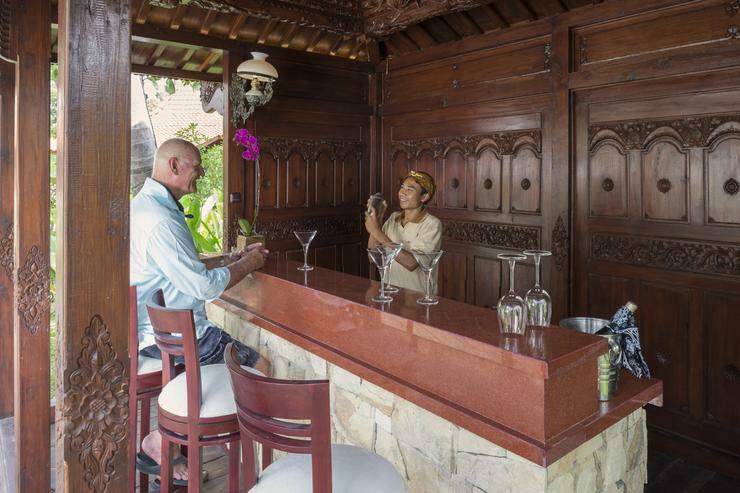 Adjacent is the open kitchen with a fully equipped bar. 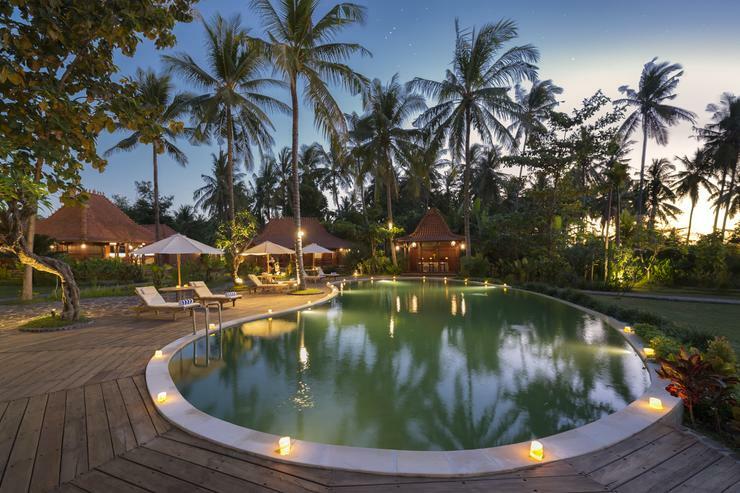 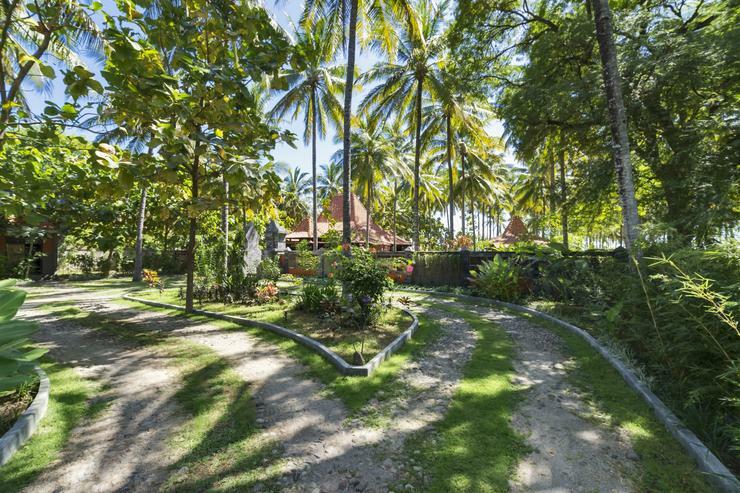 Outdoors, you will be mesmerized by the lush greenery, fish-ponds with fountain, swimming pool and a private white sand beach where you can go sea kayaking or watch the beautiful sunset from the beach-size gazebo. 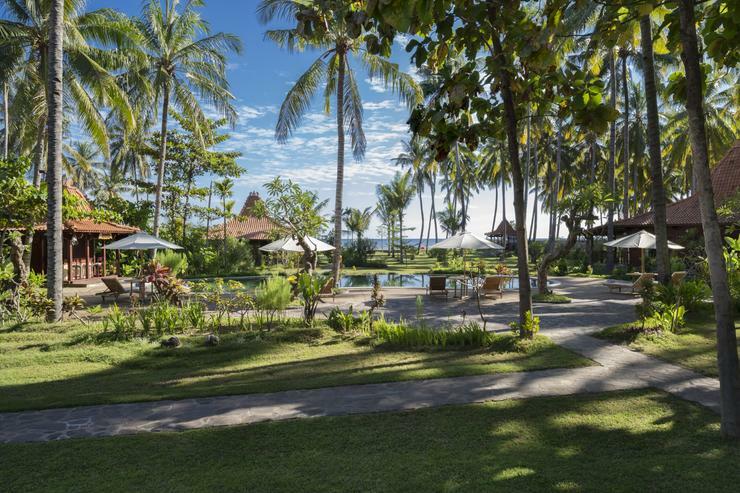 The garden has both shaded and sunny areas for sunbathing and simply relaxing. 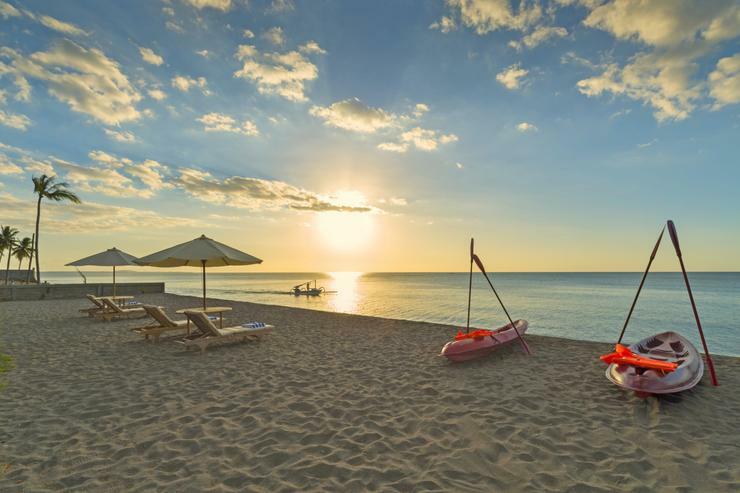 Located in Tandjung Peninsula, Lombok. 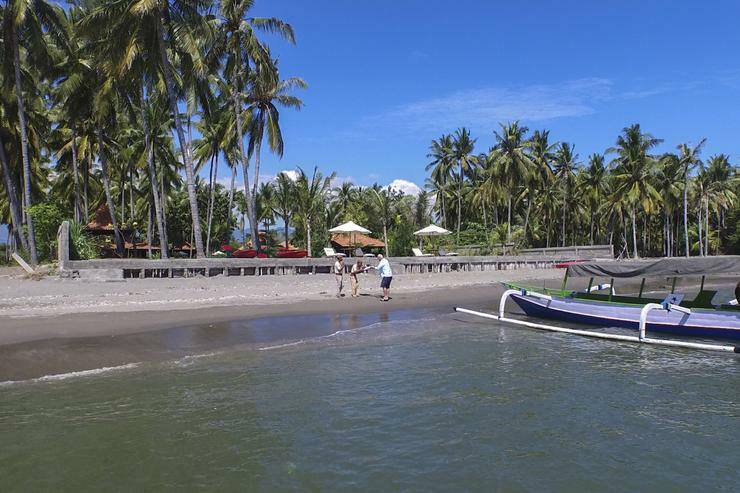 Sepoi Sepoi is a in Indonesia. 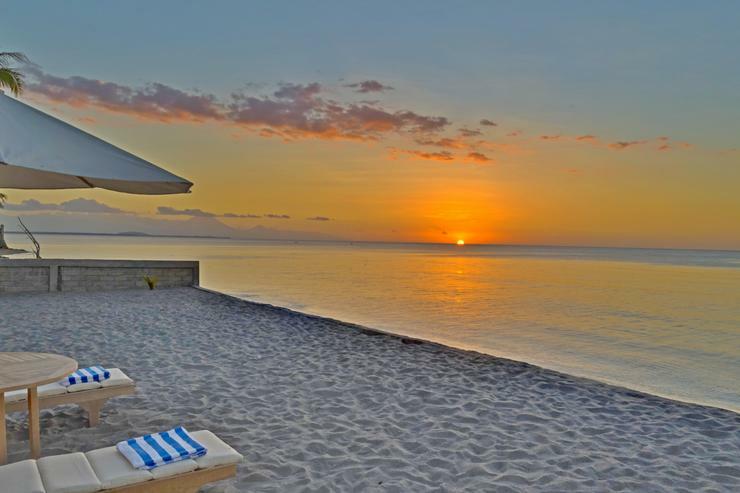 Located in Tandjung Peninsula, Lombok. 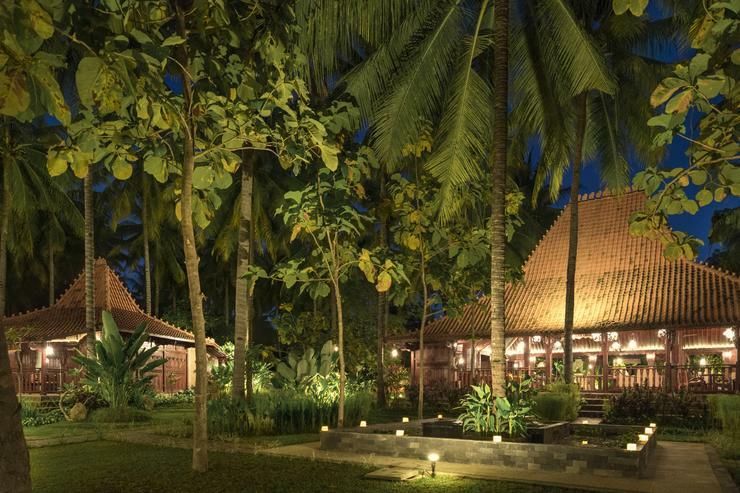 Anandita is a in Indonesia. 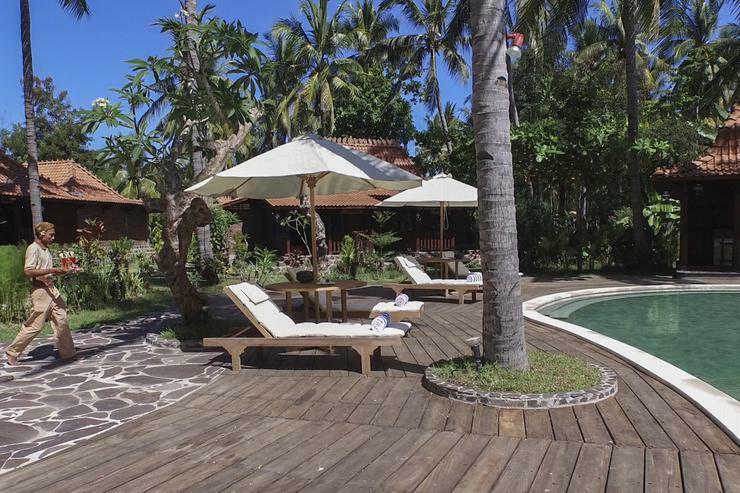 Located in Tandjung Peninsula, Lombok. 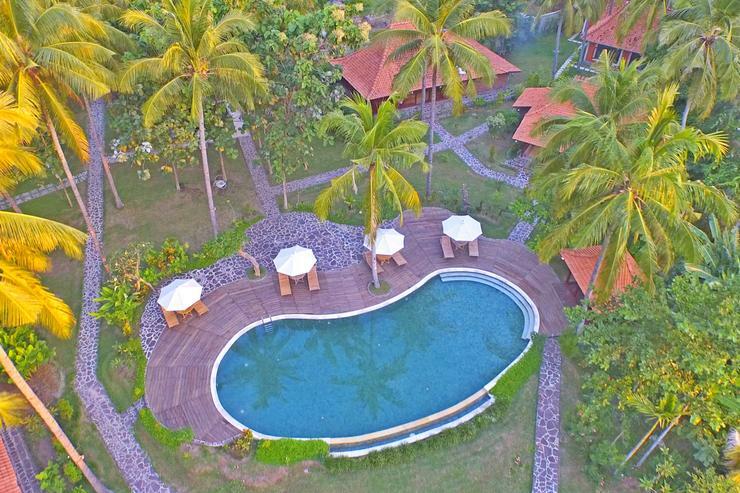 Seseh Beach Villa II is a in Indonesia.